Meet Rob Rees, PerformancePro strength and conditioning coach. From professional rugby to youth training and competing at international level, Rob enjoys a variety of sporting and training environments. His focus, however, remains impressively single-minded when it comes to the discipline required to keeping standards high. 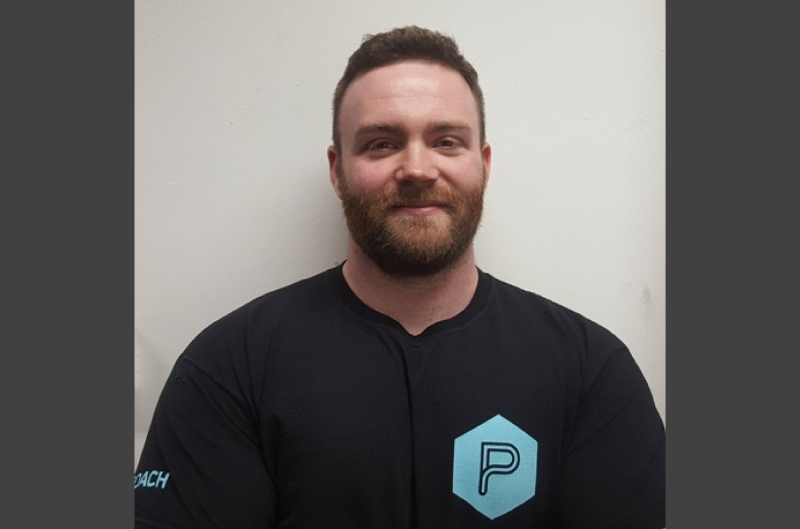 In between coaching PerformancePro clients and his own training for the recent British Powerlifting Classic Championships, we managed to squeeze in a quick chat to find out more about him and his training approach. This led to Rob studying Strength and Conditioning Sciences at St Mary’s in 2009, where he graduated with a 1st. He went on to spend a few years working as a strength and conditioning coach, first as an assistant coach at Ealing Trailfinders, then at St John’s School in Leatherhead working with elite youth athletes. In the meantime, Rob was also working as a personal trainer, which gradually shifted to becoming his full time career. Alongside his career coaching and supporting others, Rob has been competing in powerlifting for the last 10 years with competition personal bests of a 280kg squat, 195kg squat, and a 335kg deadlift. Previously, Rob was a junior Commonwealth Champion and now he’s the current English and British Champion for 2018. He’s also represented Great Britain at World and European level. Not surprisingly, given his commitment to powerlifting, a lot of Rob’s free time during the week is spent in the gym too. So, understandably, his weekends tend to be dedicated to relaxing as much as possible, usually with his feet up reading or watching a Netflix series! Rob usually trains four times a week and he tends to focus on squat, bench press, deadlift and their variations. Effort always trumps the programme, make sure you’re putting in the work. Record your training, otherwise you won’t know if you’re improving or not! For work I try to keep a mix between research and practical application. The MASS research review is a great resource for the latest research, and I follow a lot of top lifters and performance coaches on social media to see what tips I can pick up. And, when it comes to the Rob Rees approach to his own training?